In my sermons in Zion Parish Church, Rathgar, this morning [15 November 2015], I spoke of how we had recalled the two World Wars in Remembrance-tide services over the past week, and how the tragedy of refugees is the greatest human catastrophe facing Europe since the end of World War II 70 years ago. I have attended two Remembrance services in the chapel of the Church of Ireland Theological Institute in Dublin, and a Remembrance-tide Eucharist in the Chapel of Westcott House in Dublin. As a fitting close to these Remembrance-tide recollections this afternoon, two of us visited the grave of Patrick Culley in Mount Jerome, Harold’s Cross, and the grave of Stephen Comerford in Portrane in north Co Dublin. We placed a poppy cross on the grave of Patrick Culley in Mount Jerome. His simple gravestone mentions that his connections with the Royal Army Medical Corps (RAMC). He spent World War I in the trenches in France, and the horrors he witnessed undoubtedly contributed to the problems he faced later in life. After the war, he worked in the Guinness Brewery in Dublin. But his state of health mist have been a major reason for the industrial accident which killed him on 17 August 1938. He was only 50 years old, and left a young family, including my late mother-in-law. From Harold’s Cross, we then drove across the city to Portrane, where we laid a poppy wreath at the grave of my grandfather, Stephen Edward Comerford. He enlisted in the Royal Dublin Fusiliers – “the Toffs and the Toughs” – 100 years ago in 1915. Within days, he was sent to the Greek island of Lemnos and on to Gallipoli and Suvla Bay. He was among the few survivors evacuated to the Greek city of Thessaloniki. But in the severe Greek winter, many of those soldiers suffered frostbite, dysentery and other sicknesses. Then, in the summer’s heat of 1916, more of them came down with malaria and were evacuated from Thessaloniki. He too contracted malaria in Thessaloniki, and was discharged on 3 May 1916, just three days after the Easter Rising came to an end, and was sent to Dublin. He was decorated with the appropriate medals for someone who had served the full war period, but never recovered his health. My father was born in December 1918, but my grandfather’s health continued to deteriorate, and on 1 January 1921 he died a sad and lonely death in the hospital he had helped to build. He was buried in Saint Catherine’s, the old Church of Ireland churchyard in Portrane. The inscription on his gravestone makes no mention of his part in the Royal Dublin Fusiliers, or of how he died. I find it very telling that his gravestone also gives the wrong age for him at the time of his death. Stephen Comerford was born on 28 December 1867, and died on 21 January 1921 at the age of 53. But the gravestone says he died at the age of 49 – the age he was when he came back from the war in 1916. As his health deteriorated, he must have remained 49 for ever in my grandmother’s heart. After taking a short time to look at the high tide at the beach in Portrane, we then drove on to Bettystown on the long sandy coast that stretches from Laytown in Co Meath to Mornington, close to Drogheda. We had lunch at a table by a window in Relish in Bettystown, looking out at the rolling waves of high tide, before going for a walk on the beach. The tide was receding, and the twilight colours of late autumn added to the beauty of the afternoon. Looking at the beauty of the beach and the sea, it was impossible not to think about both the horrors my grandfather faced in the waters of the Aegean Sea 100 years ago and the tragedy of refugees in the Aegean fleeing the horrors of war today, a century later. 10.30 a.m., Morning Prayer 2. Readings: Daniel 12: 1-3; Psalm 16; Mark 13: 1-8. May I speak to you in the name of the + Father, the Son and the Holy Spirit, Amen. Winter has arrived, the evenings are closing in, the nights are getting longer, and the year is coming to an end. The church seasons are changing too. 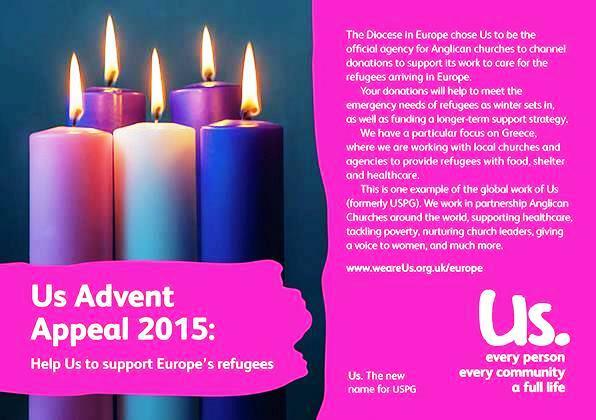 Advent, which marks a New Year in the Church, begins the Sunday after next [29 November 2015]. Carol services are being planned, Christmas gifts are being wrapped, Christmas cards are being written, and for many places the last posting date for Christmas [4 December 2015] is looming. In the midst of darkness, there is always hope. But in the darkness it is also natural that we should think of our greatest fears. In our Gospel reading this morning, Peter, Andrew, James and John are with Christ on the Mount of Olives, looking across to Jerusalem and the Temple. But Christ’s entry into Jerusalem is not going to be triumphant, and he warns these four disciples – these four who act almost like Christ’s ‘kitchen cabinet’ in the Gospels – that the future is not going to be all plain sailing. He talks about false teachers, wars and rumours of wars, nations fighting against nation, earthquakes, famines and natural disasters. All of us have been shocked by the violence in Paris in the past 36 hours. The attacks in Paris and a few days earlier in Beirut were designed to shake the very foundations of all our societies. They are an assault on our shared humanity, and our tolerance, liberty and respect – the values that ought to underpin the world we share. I spent three days in the past week [11-13 November 2015] at a meeting of the Trustees of Us, the Anglican mission agency previously known as USPG or the United Society for the Propagation of the Gospel. It was a residential meeting in Westcott House, the Anglican theological college in Cambridge. And during those days I heard again and again of the work Us or USPG is doing with refugees throughout Europe. The UN High Commissioner for Refugees says that so far this year over three quarters of a million refugees and migrants have arrived by boat in Europe. Most of them – around 620,000 – have arrived in Greece; while Italy has received over 140,000 people, Spain almost 3,000 people and Malta over 100. 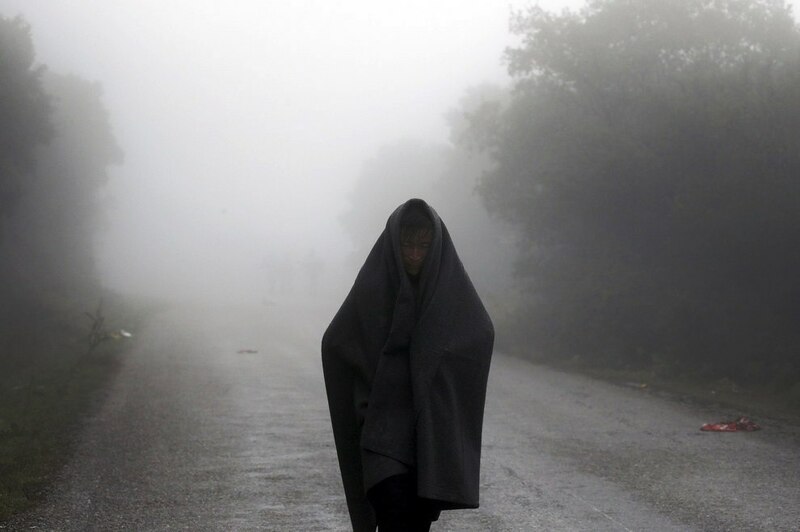 The UNHCR also says almost 3,500 people have died or gone missing on the journey. Over half the migrants trying to reach Europe come from the Syria, and another one-in-five is from Afghanistan. Even if the wars stop tomorrow, four million Syrian people are living outside Syria and half the remaining people are displaced too, having left their homes, their villages and their towns. Rebuilding the region is a long-term task, and even if the wars ended tomorrow they cannot go home on Tuesday. Bishop David says the challenge to Churches, governments and agencies in Europe is to work together on short-term responses, and medium to long-term situation. When people began to appear in the parks and squares in central Athens having come from the ferry boats from the islands, the churches in Athens responded immediately. Saint Paul’s Anglican Church and the other churches saw the need to co-ordinate their response and have drawn on their own limited resources to reach out together. This response has brought together Anglicans, the Greek Orthodox archdiocese, the Roman Catholic Jesuit refugee service, the Salvation Army, and the Greek Evangelical Church. This is on-the-ground ecumenism in action. Years and years of dialogue are now bearing fruit. But Bishop David is worried that the rest of Europe fails to see that these people are human beings who deserve basic humanitarian assistance while their status is sorted out. Meanwhile, winter is closing in and threatens to make the sea-crossings even more treacherous for people fleeing war, persecution, and poverty. On one day alone in the past week or two, 22 people drowned in two shipwrecks in the Aegean Sea. On another day, the Greek coastguard rescued 242 refugees whose wooden boat sank north of the island of Lesvos. At least three people drowned, including two small boys. The number of refugees arriving in Greece from Turkey has risen in risen week from 4,500 to 7,000 a day. 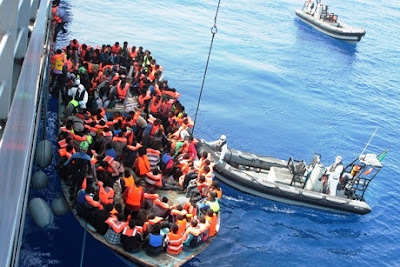 More than 218,000 migrants and refugees arrived in Europe by sea last month [October 2015] – a record for any month and about the same number as the total number who arrived in 2014. But freezing temperatures, heavy rains, and strong storms across Europe have not slowed down the surge of refugees. These people were desperate before they ever left. They are desperate now. And they face a winter with little protection from the cold, with no weather-proofing kits, with damaged tents, without winter clothes. They need fuel, unconditional cash, kits, clothes, coal, stoves and blankets. 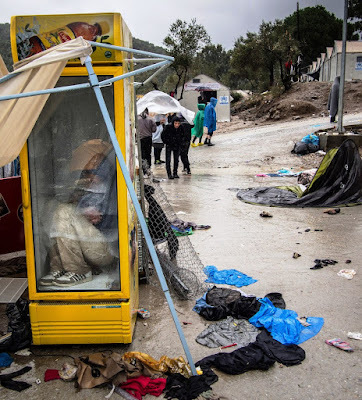 An example of the way the Church is responding to this crisis is the decision by the Anglican Diocese in Europe and the Anglican mission agency Us (formerly USPG) to fund an emergency centre for refugees at the remote Pharos Lighthouse on the Greek island of Lesvos. 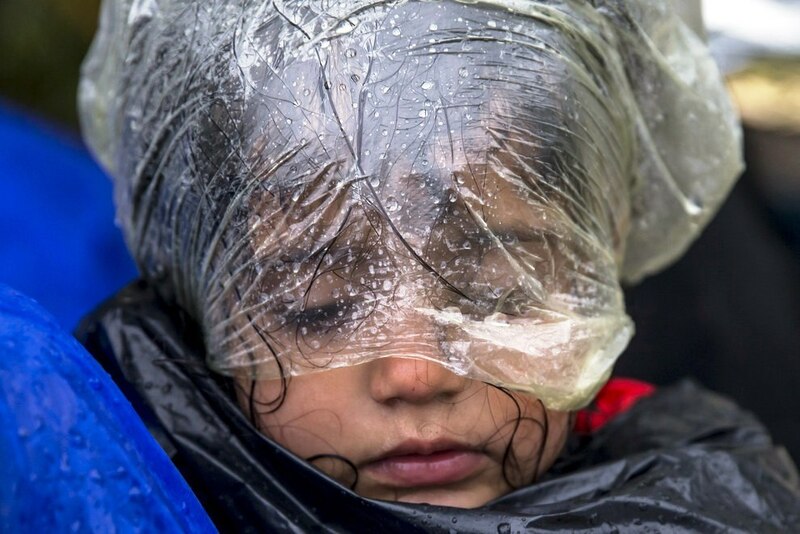 The refugees arrive cold and wet having crossed 15 km from Turkey, typically making the journey in small rubber boats crowded with up to 50 people each. Often these dangerous crossings are at night to avoid the Turkish coastguard patrols by day. Attracted by the beam of the lighthouse, they land on the rocky shore, soaked through, tired and hungry. Yet they are still 6 km from the nearest village, Klio, a six-hour walk across rugged, rock-strewn terrain. They need dry clothes, food, medical care and shelter before they can continue their journey to safety. Local volunteers have been doing what they can to help them. I heard over these past few days how their work is getting a further boost with funding from Us and support from the Anglican chaplaincy in Greece. Two abandoned buildings next to the lighthouse are being turned into a changing area and a field kitchen. Tents are being provided as shelter and volunteers are working there around the clock, seven days a week, providing food, clothing and medicines. These volunteers have also asked for ropes to help refugees climb up the rocky shores, safety helmets and headgear for the children and babies, wetsuits, night vision binoculars, heaters, lighting and walky-talkies. The light of the lighthouse on Lesvos can lead the fleeing refugees to either a perilous end on the rocky shore or to hope for the future provided by these volunteers. I listened to those stories in Cambridge over the past few days, those stories of Us and how the Diocese in Europe are trying to be lights of hope in this dismal, dark winter. There is a real danger that because of the violence this weekend, the very people who are fleeing the violence of ISIS in Syria and their allies in the Middle East, will become their victims yet again, being blamed for violence perpetrated by people who are their very oppressors. But despite all that is happening, there is hope. And we can be beacons of hope. We can show in how we live our life this coming Advent that we believe, that we want, good to triumph over evil, and to show that the Light of Christ shines in our hearts. Throughout Advent this year, Us is appealing for donations to fund the Diocese in Europe as it reaches out to refugees arriving throughout Europe, and the Diocese in Europe has asked Us to be the official agency for Anglican churches on these islands to channel donations for its work. The Advent candles on the Advent wreath represent the Patriarchs, the Prophets, John the Baptist, and the Virgin Mary, all pointing to Christ in the midst of darkness, despite the disasters of famines, earthquakes and wars. Despite all this, there is hope. And we can be beacons of hope. We can show in how we live our life this coming Advent that we believe, that we want, good to triumph over evil, and to show that the Light of Christ shines in our hearts. (Revd Canon Professor) Patrick Comerford lectures in the Church of Ireland Theological Institute. This sermon was preached at Morning Prayer in Zion Parish Church, Rathgar, on 15 November 2015. 1 Καὶ ἐκπορευομένου αὐτοῦ ἐκ τοῦ ἱεροῦ λέγει αὐτῷ εἷς τῶν μαθητῶν αὐτοῦ, Διδάσκαλε, ἴδε ποταποὶ λίθοι καὶ ποταπαὶ οἰκοδομαί. 2 καὶ ὁ Ἰησοῦς εἶπεν αὐτῷ, Βλέπεις ταύτας τὰς μεγάλας οἰκοδομάς; οὐ μὴ ἀφεθῇ ὧδε λίθος ἐπὶ λίθον ὃς οὐ μὴ καταλυθῇ. 3 Καὶ καθημένου αὐτοῦ εἰς τὸ Ὄρος τῶν Ἐλαιῶν κατέναντι τοῦ ἱεροῦ ἐπηρώτα αὐτὸν κατ' ἰδίαν Πέτρος καὶ Ἰάκωβος καὶ Ἰωάννης καὶ Ἀνδρέας, 4 Εἰπὸν ἡμῖν πότε ταῦτα ἔσται, καὶ τί τὸ σημεῖον ὅταν μέλλῃ ταῦτα συντελεῖσθαι πάντα. 5 ὁ δὲ Ἰησοῦς ἤρξατο λέγειν αὐτοῖς, Βλέπετε μή τις ὑμᾶς πλανήσῃ: 6 πολλοὶ ἐλεύσονται ἐπὶ τῷ ὀνόματί μου λέγοντες ὅτι Ἐγώ εἰμι, καὶ πολλοὺς πλανήσουσιν. 7 ὅταν δὲ ἀκούσητε πολέμους καὶ ἀκοὰς πολέμων, μὴ θροεῖσθε: δεῖ γενέσθαι, ἀλλ' οὔπω τὸ τέλος. 8 ἐγερθήσεται γὰρ ἔθνος ἐπ' ἔθνος καὶ βασιλεία ἐπὶ βασιλείαν, ἔσονται σεισμοὶ κατὰ τόπους, ἔσονται λιμοί: ἀρχὴ ὠδίνων ταῦτα. 3 When he was sitting on the Mount of Olives opposite the temple, Peter, James, John, and Andrew asked him privately, 4 ‘Tell us, when will this be, and what will be the sign that all these things are about to be accomplished?’ 5 Then Jesus began to say to them, ‘Beware that no one leads you astray. 6 Many will come in my name and say, “I am he!” and they will lead many astray. 7 When you hear of wars and rumours of wars, do not be alarmed; this must take place, but the end is still to come. 8 For nation will rise against nation, and kingdom against kingdom; there will be earthquakes in various places; there will be famines. This is but the beginning of the birth pangs. 9 a.m., Holy Communion 1. Readings: Daniel 12: 1-3; Psalm 16; (Hebrews 10: 11-14, 15-18, 19-25;) Mark 13: 1-8. I know it is not traditional to have a sermon at this early morning Eucharist. But this morning’s Gospel can appear so gloomy, with its talk of wars and rumours of wars, earthquakes and famines, that I thought I should light a light in the darkness and share some of the thoughts that are shaping my sermon at Morning Prayer later this morning. The church seasons are changing too. Advent, which marks a New Year in the Church, begins the Sunday after next [29 November 2015]. Carol services are being planned, Christmas gifts are being wrapped, Christmas cards are being written, and for many places next Friday [4 December 2015] is the last posting date for Christmas. (Revd Canon Professor) Patrick Comerford lectures in the Church of Ireland Theological Institute. This reflection was shared at the Eucharist in Zion Parish Church, Rathgar, on 15 November 2015.